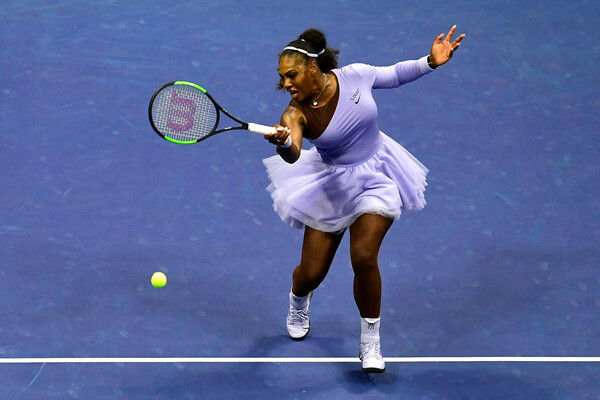 Serena Williams was absolutely flawless as she fired on all cylinders to claim a terrific 6-3, 6-0 win over Anastasija Sevastova in the semifinals of the US Open. 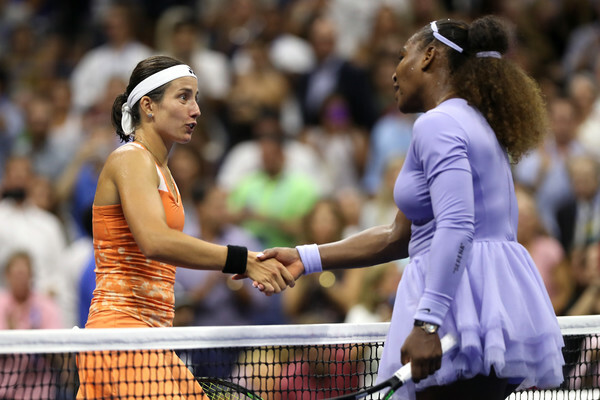 Reaching her ninth US Open final, Serena Williams overcame a slow start and put in a world-class performance to defeat the dangerous and crafty Anastasija Sevastova with a commanding 6-3, 6-0 scoreline and claiming 12 of the last 13 games in the match. It was incredibly impressive from the American home favourite, who is into her career 31st Major final overall. Williams surprisingly charged towards the net tonight more often than ever — and ultimately the match statistics were outrageously good coming from the American. She won 24/28 (.857) of those points while also blasting 30 winners in this quick 65-minute encounter. Sevastova did not play a bad match but was just simply overpowered by the unstoppable Williams as she ended the match hitting just 10 winners and committing 12 unforced errors. The crucial factor was the second serve — Sevastova just defended 4/22 (.182) of her second serve points while Williams won half of those points. Losing just seven first-serve points, Williams stormed to the win having broken serve on five different occasions, moving into the final on Saturday where she will face either compatriot Madison Keys or the hard-hitting Naomi Osaka. It was a relatively cold start from Williams as consecutive unforced errors from the American gifted Sevastova with the break in the opening game. The Latvian, playing in her maiden night session match on Ashe in this tournament, showed no signs of nerves as she easily consolidated the break for an early 2-0 lead with a terrific passing backhand winner. Williams finally got onto the scoreboard with a confident service hold, closing out the game with a huge forehand winner. Roars from the partisan crowd ensued when Williams broke straight back and levelled the scores despite a tough resistance from Sevastova. The 23-time Major champion sent a backhand into the net but not before the underdog wasted game point opportunities with her ill-timed drop shot errors. Once Williams earned the momentum, she could not stop firing winners left and right. Sevastova was all over the place and conceded five consecutive games to go down 2-5, despite holding game points in both the service games she was broken in. Although she stopped the rout with a quick hold, Williams was simply untouchable on serve as she looked in a hurry, serving out the opening set 6-3 after 40 minutes with the help of two aces in the last game. Sevastova was struggling with her second serves with Williams viciously going for those vulnerable shots. The American jumped out to a 0-40 lead in her first return game of the second set and looked set to run away with the victory. 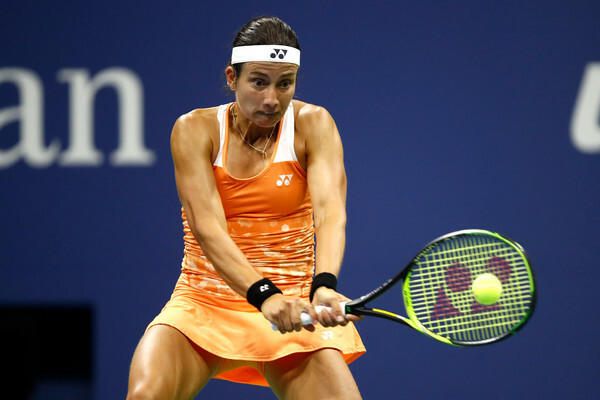 However, Sevastova had other ideas when some solid first serves helped her to return to deuce and earn a game point having won four consecutive points. Nonetheless, impressive net play by Williams ultimately earned her the break, with the finishing line in sight already. Getting increasingly frustrated with her play and with her tactics going all wrong, Sevastova could not find her groove and was extremely passive which allowed Williams to tramp over her easily. Sevastova had her chances, but the 23-time Major champion wiped them off with some clean net play and powerful groundstrokes before the Latvian could even react. Within a blink of an eye, Williams strolled through the second set within just 23 minutes of play, conceding just 12 points in the process.